This years nominations are now open! We understand what it’s like to feel overwhelmed when deciding about care options. Our helpful pages offer lots of practical advice. Wholesome meals served by our dedicated Chefs are not only delicious but cater for all sorts of dietary requirements and tastes. Our award-winning homes and gardens are tailored to the individual needs of the people living with us to feel comfortable and friendly. Our dedicated team of Activity Coordinators are passionate about making life as stimulating and fulfilled as possible. Our range of care and specialist services is tailored to meet your needs. Simple, impartial guides to help you find the right care. 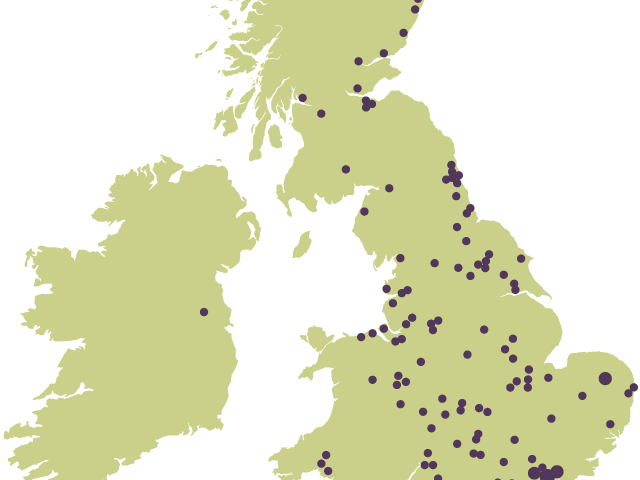 With over 200 care homes in the UK, there's always a Barchester care home near you. Search for a care home in your area using our online search tool. Barchester Healthcare was recently accredited as one of the best companies to work for in the UK by the Best Companies b-Heard Survey. Staff and residents at Briardene Care Home are celebrating their recent Care Quality Commission inspection rating, where they scored an overall ‘Outstanding’. Barchester Healthcare, one of the UK’s largest care home providers, have made it through to the final stages of the Pinders Healthcare Design Awards for the design of The Spires in Lichfield. National care provider, Barchester Healthcare, marked the start of their newest care home build in Herne Bay, Wells, which is under construction by McGoff Construction Ltd.
National care provider, Barchester Healthcare recently marked the start of their newest care home build in Denmead, which is under construction by McGoff Construction Ltd.
Staff and residents at West Oak Care Home in Wokingham, Berkshire, are celebrating their recent Care Quality Commission inspection rating, where they scored an overall ‘Outstanding’. Commemorated this week with a celebration dinner at the Royal Lancaster Hotel, London, the Top Track 250 league table ranks Britain’s private mid-market growth companies with the biggest sales.